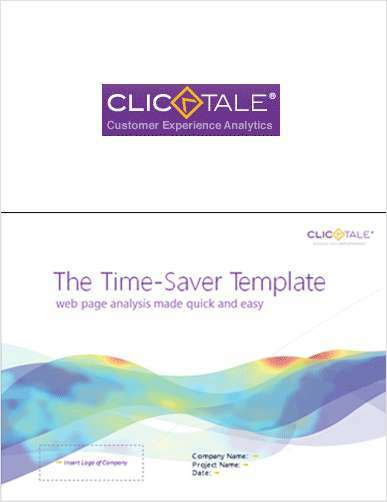 "The Time-Saver Power Point Template: Quick and Easy Website Analysis"
Free PowerPoint Template: "The Time-Saver Power Point Template: Quick and Easy Website Analysis"
Various professionals working for an ebusiness need to take on website analysis as part of their job role. However, for many, knowing what to do, how to start, etc. can be overwhelming. And for those business professionals that indeed know what they are doing, they can make their job a lot easier with a pre-planned and written template to present to their colleagues on their analysis work and conclusions. By submitting this content request, I have legitimate interest in the content and agree that Clicktale, Ltd., their partners, and the creators of any other content I have selected may contact me regarding news, products, and services that may be of interest to me.